R & R Consultants is sponsoring Tour of Novato and Fun Fair lead by School Fuels this Saturday May 3, 2014. Come join us at down town Novato to support our community, students and schools. For more details please click on the article link down below. 100% of the proceeds from this year’s Tour of Novato are dedicated to providing the children of Novato’s schools with a quality education focusing on access to state of the art classroom technology; enhancing visual and performing arts opportunities; and promoting increased literacy. 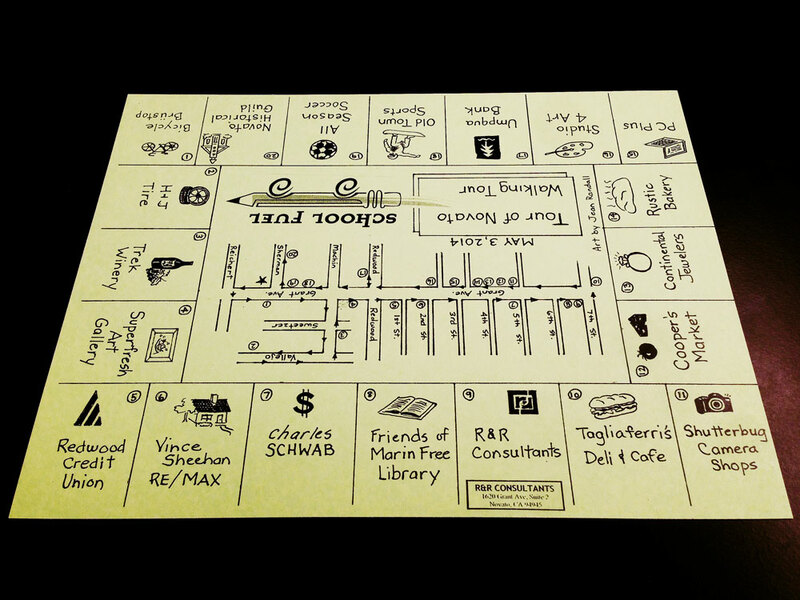 This is a stamp board which every student or participate will carry attending the event. 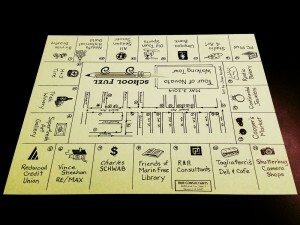 They will then go to each location and get the specific block stamped accordingly.